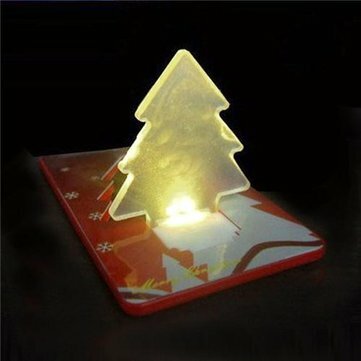 This LED Night Light is of Novel design with Christmas Tree credit card style. Christmas tree shaped LED bulb can be folded, make it stand up to turn the light on. Ideal to friends as Christmas gift. Size: 86mm x 53mm x 4mm. Unfortunately size was very small, so I won't be sending them as cards. Otherwise, Tree is very cute just wish they were larger.